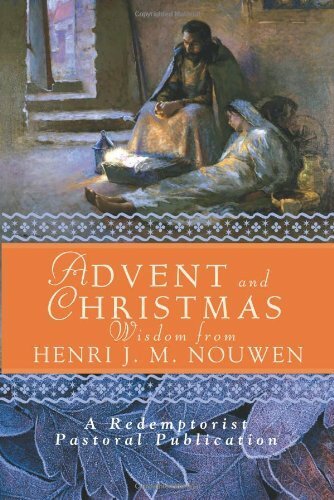 Today’s thought from Henri M Nouwen was around his expectation that there would be loud and impressive events to convince everyone of God’s saving power and the surprise of a small baby instead. Can this be the Messiah? The one who will save us? Way back in the day, when I’d stopped being taken to church as a child and before I started going as a young man, I found in my room the Gideon’s New Testament I’d been given at school. I started to read, in part prompted by one of those “100 Books every school leaver should have read” articles which included the Bible. Why reading that started to make me curious about faith is another tale for another time. But what I missed out on, of course, was the Old Testament. When I did, eventually, get around to reading the Old Testament, I found a real mixture. The Bible started with the stories we’d grown up with – Adam and Eve, Noah, Moses, Abraham and Isaac, Joseph and his Technicolour Dreamcoat*. What astonished me is the way that the Jewish people kept drifting away from YHWH due to, as they saw it, broken promises, but then coming back. But what really got me was when I got to Isaiah. I knew fragments of the book, of course – what school choir member wouldn’t have sung Handel’s Messiah? However, it was the way in which the prophets foretold the coming of Jesus. Was this all coincidence, I wondered? Could the author(s) of both old and new have really been as sophisticated as all that – before the days of word processors and ready access to pen and paper to produce detailed concordances? Or could there, just possibly, be something to this prophecy lark? Could Jesus actually be the promised Messiah? I promised music, so music you shall have. An unusual choice, this time – this is Isaiah 11:1-9 in the original Hebrew. Now imagine you are hearing this in exile, downtrodden – yet somehow there is hope of what is to come. There doesn’t seem to be any signs of a great king arriving to save Israel any time soon. But maybe they were looking in the wrong place – for a king, with an army, not a babe in a manger. Challenged by today’s task to find a small sign that God is present, I looked to my son. I looked at the childlike innocence, and realised that this is worth keeping – it is a sign that sometimes we need to forget the trials of everyday life, and look instead anew at the wonders of this world. * Not strictly described as such in any translation of the Bible. Just a quick word about the Advent Book Club. Or more probably the #adventbookclub as I’m reading along with a whole stack of Twitter friends (or Tweeps) including @pamjweb, @batty_towers, @mrs_figaro, @roguepioneer and @barlie40 (and I’m sure I’ve missed a few). Pam’s blog is where it’s at in terms of keeping us all organised. Like as the hart desireth the waterbrooks : so longeth my soul after thee, O God. My soul is athirst for God, yea, even for the living God : when shall I come to appear before the presence of God? So. A first blog post on the last day of the Christian year. Why start now? Well, I’ve been wanting to for a while now but just never got around to it. And today is the day to get ready for the new beginning tomorrow. The start of a new year for the church; the start of Advent; the season of longing and waiting before Christmas. I’m doing an online twitter Advent book read with some twitter pals, and by setting this up I now have somewhere where I hope to post my thoughts on those daily readings (well, at least some of them). Finally, if you read that ‘about‘ page up top, you’ll have seen that I hope to post a little about music here too. Those of you who know me in real life may know of my love for the music of Herbert Howells, and have spotted that the title of this blog is shared with one of his most famous anthems, a setting of Psalm 42. Well, that’s no conincidence. Why do I love this piece of music? I think it just happens to strike the right mood for the words, and Psalm 42 is one of my favourite psalms anyway. Life isn’t always as easy as it might be for any of us these days – and at times I think “if there were a God, why does he let people suffer this way?” Society as a whole is becoming more secular – the strident challenge of the second part of verse 3 “where is now thy God?” is accompanied by strident chords at 2m20s in this anthem. Even then, the harmonies just wash over you. And by the end, the music has returned to its opening, hopeful peace – challenge is calmed; peace restored; and our souls are left to long for God. And so, to Advent. Maranatha.